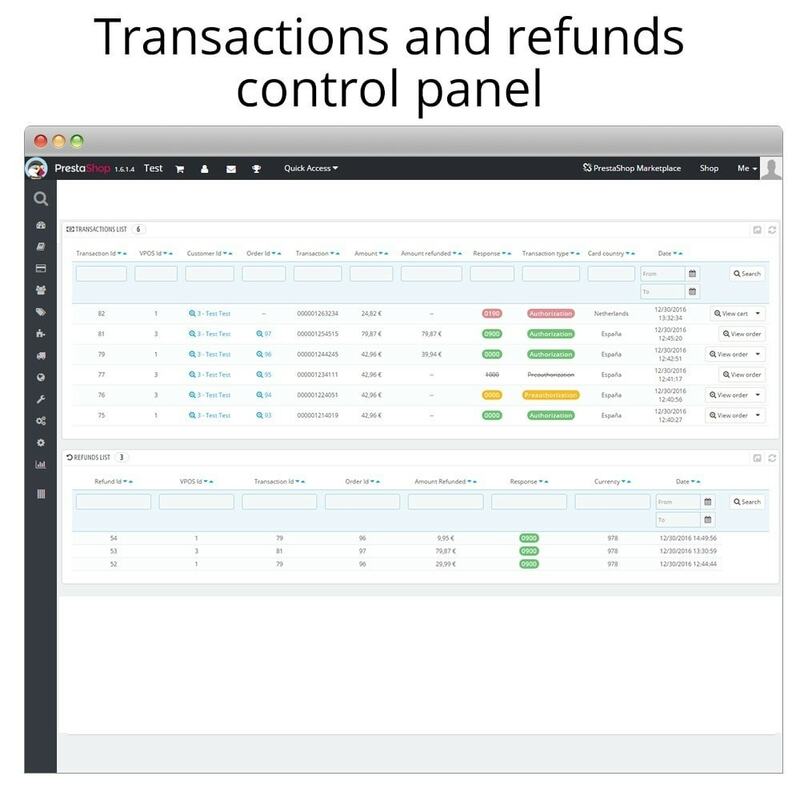 Multicommerce, multiterminal and multicurrency support for card payments and refunds management integrated with Redsys gateway (SERVIRED / SERMEPA) - Modality 100% integrated at shop. The best and more advanced Redsys card payment module. 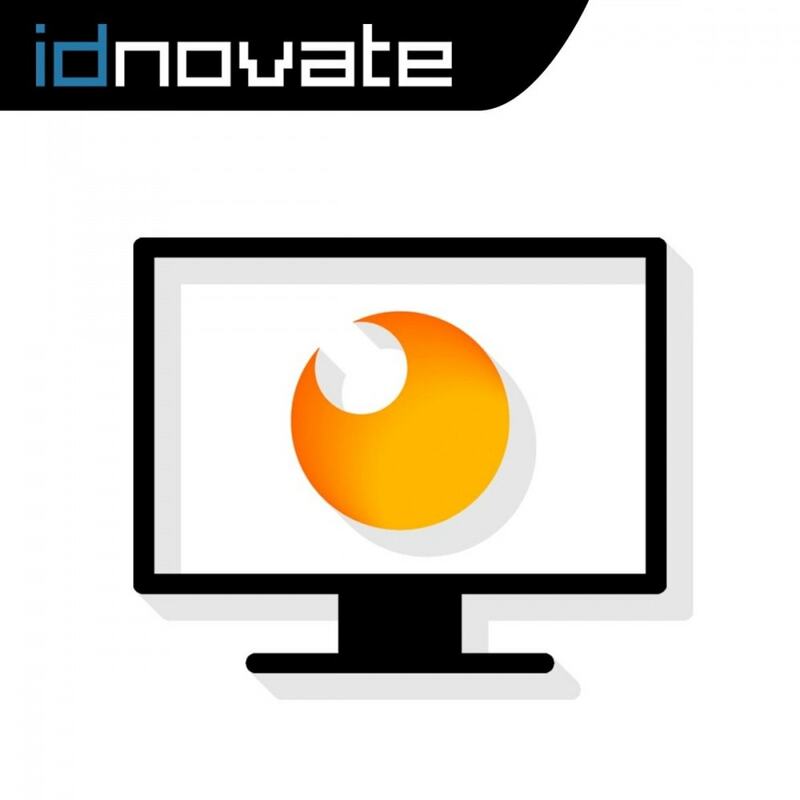 100% integrated online card payment modality. Without redirects that exits from your store. With the look & feel of your store. You can restrict the TPVs by Carrier, Country, Zone, Category, Supplier and Manufacturer: For example: You don't want to show this payment option for customers from a zone. Or for customers that has a certain product of a certain category in his cart. Also, you could have one TPV (or Terminal) to use it only in your country and other TPV (or Terminal) to use in the rest of the world. Also, you could configure the TPV to restrict the card payment with a carrier (delivery method) concrete. 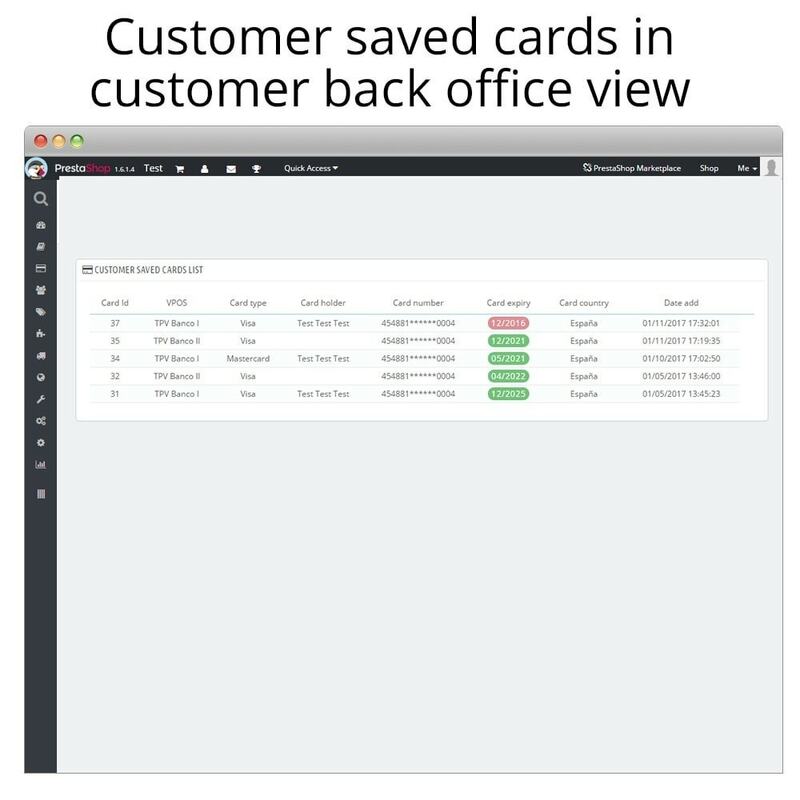 Customers can save cards for future purchases. Next purchases using a stored card can complete it with one click! You can accept pre-authorized payments. You can confirm it later from your Backoffice. For example: You can accept a pre-authorized payment by a certain amount and block this amount in the customer card. You can confirm this pre-authorization by the same amount or a different amount (within the limits set by your bank) later. See screenshots! 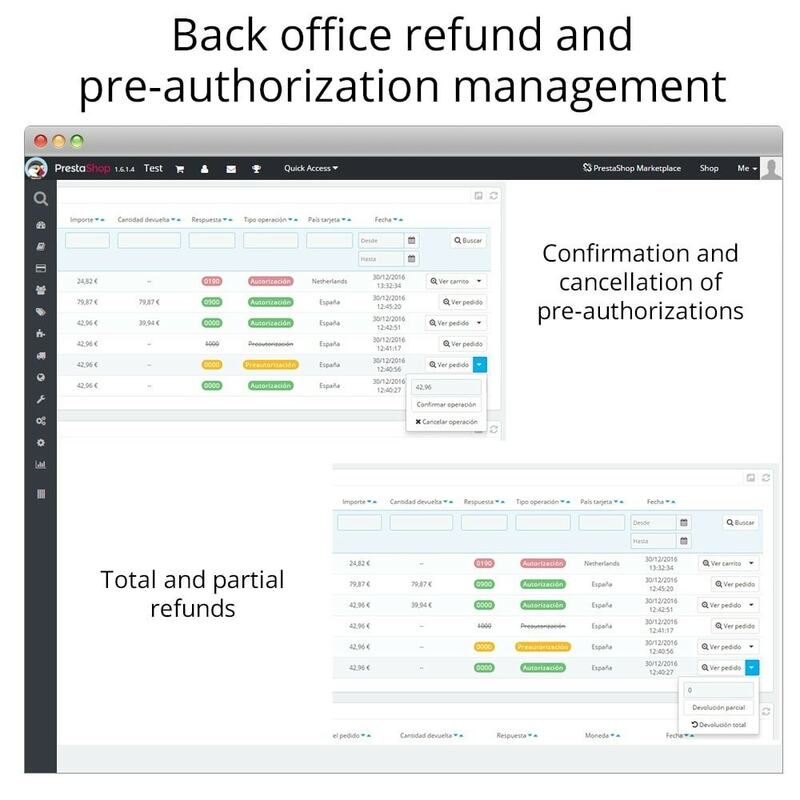 You can make refunds from your Backoffice. Total or partial refunds. You can refund a different amount than the order total. For example: You can return only the amount of the shipping costs if the customer has not received the order on time. From your Backoffice! Without going to Redsys console! You can offer to your customers the card payment in your store with an easy installation and configuration module. You only need to insert the information received from your bank. 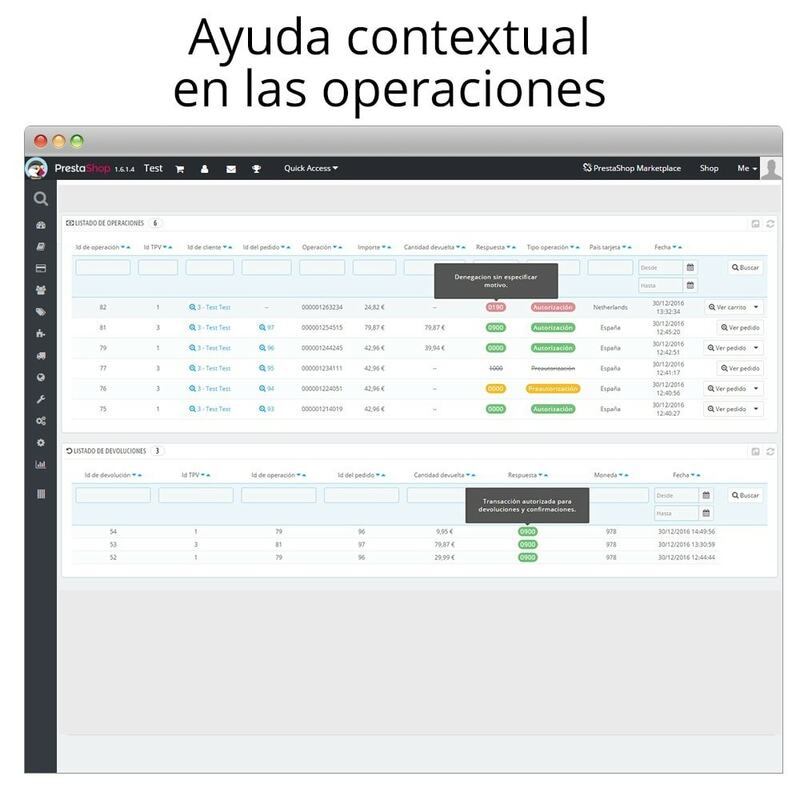 The module implements additional controls to detect configurations in your store which may cause functional errors. PCI Data security standard (PCI DSS) compliant! Stored card data complies with this strict standard. 100% integrated in shop modality. The customer will complete the purchase without exiting the shop. 1-click payment. Using a previously stored card. You can restrict the TPVs by Carrier, Country, Zone, Category, Supplier and/or Manufacturer. 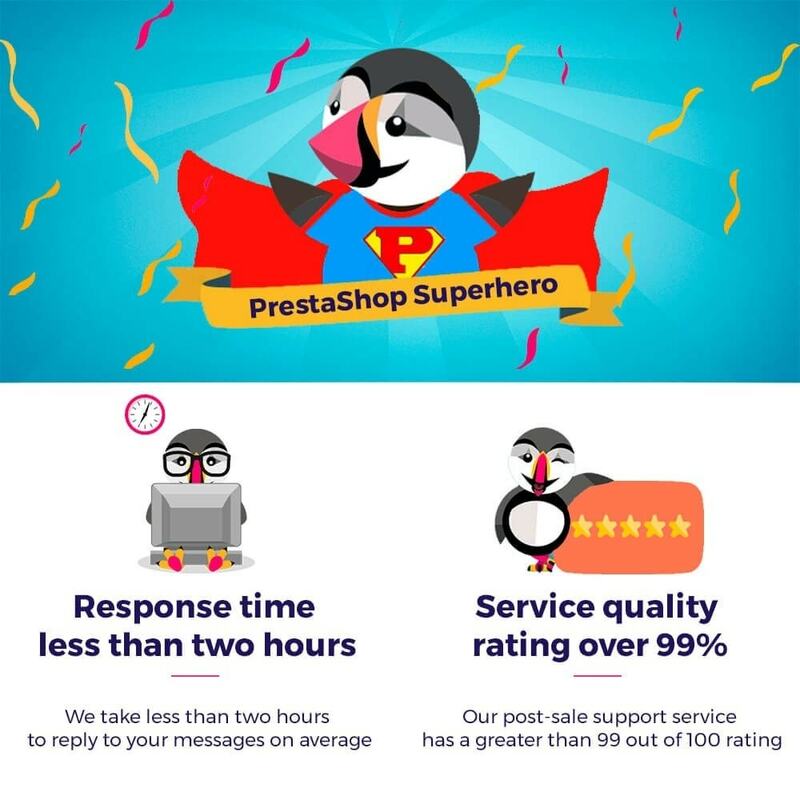 Refunds management system integrated in your backoffice, you could make the refunds easily from your PrestaShop store. Transaction listing grid in the module configuration. Refunds listing grid in the module configuration. Compatible with PHP7 and HMAC SHA256. 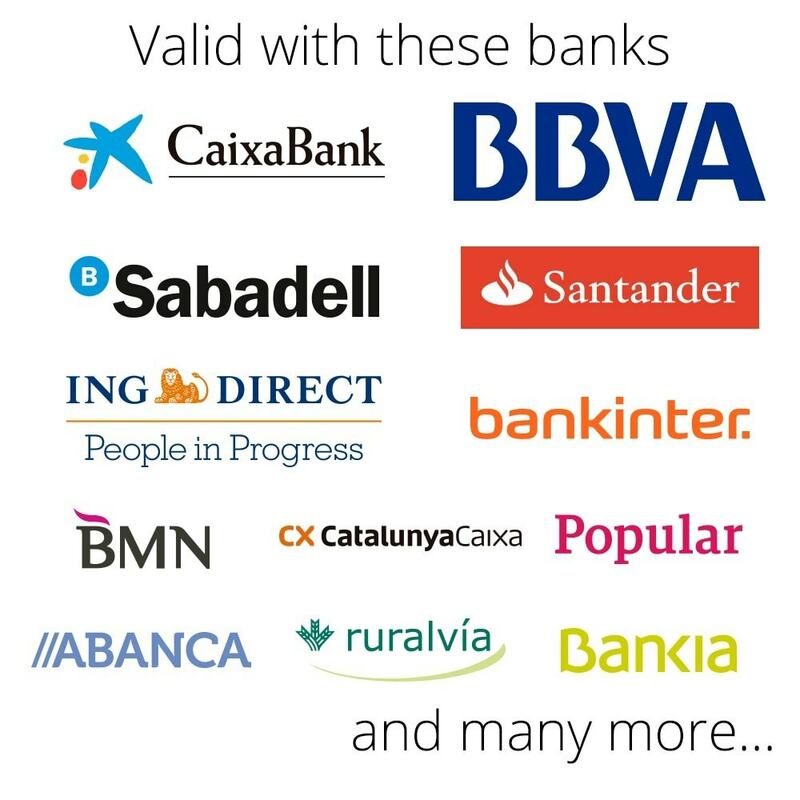 The payment method most used and most secure for your customers. Essential in every store. 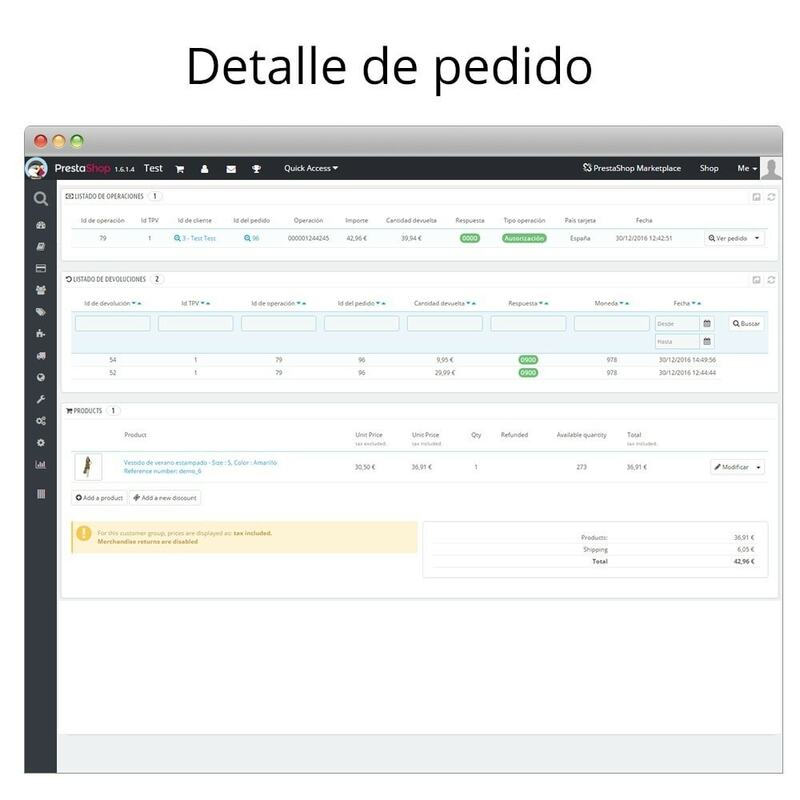 Check before buy that your virtual POS is configured or can operate in this way. No refunds will be accepted for this reason.